This beautiful set of bracelets makes a wonderful gift for bridesmaids, junior bridesmaids, mother is the bride/groom, Flower girls, and any other important person in your bridal party! 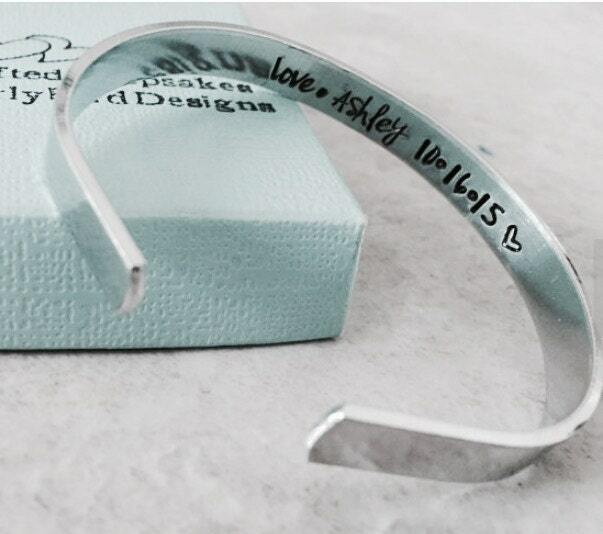 Bracelet includes name, "title" (such as bridesmaid, maid of honor, flower girl, mother of the bride, etc) and wedding date, all separated by a small heart stamp. You are welcome to include personalization on the inside. Most people pick "love (bride's name)"
When you check out, please use the drop down menu provided to select the amount of bracelets you'd like. 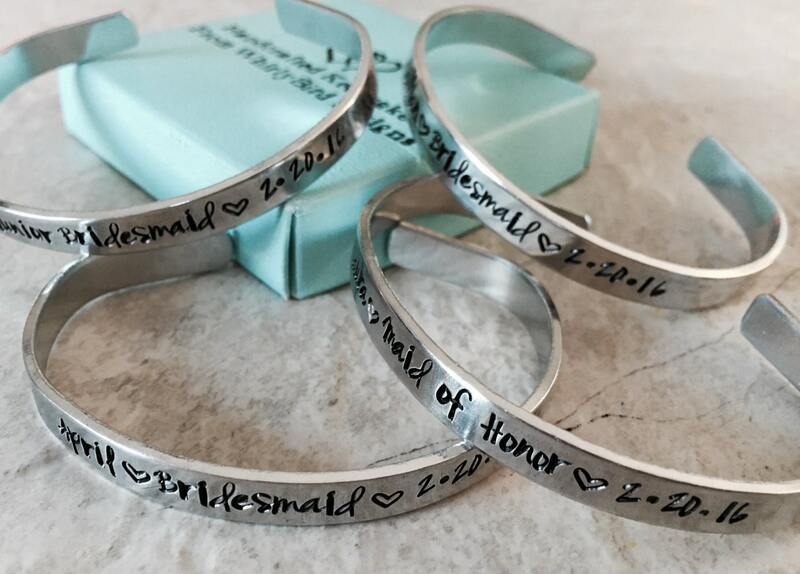 **********TO PERSONALIZE: Upon check out, in the "notes to seller" section, located on the check out page, please leave the names, "titles", and wedding date for the bracelets, as well as the personalization details for the inside, if you want to include that. Wording can always be changed on these bracelets. 60 character limit (including spaces) for the outside, and 40 character limit (including spaces) for the inside. If you need more bracelets than what is available, just send me a message. I have the materials to make these bracelets on hand at all times. Bracelet measures 6" in length, but can be squeezed to tighten and pulled apart to loosen. They are meant to be "one size fits most". 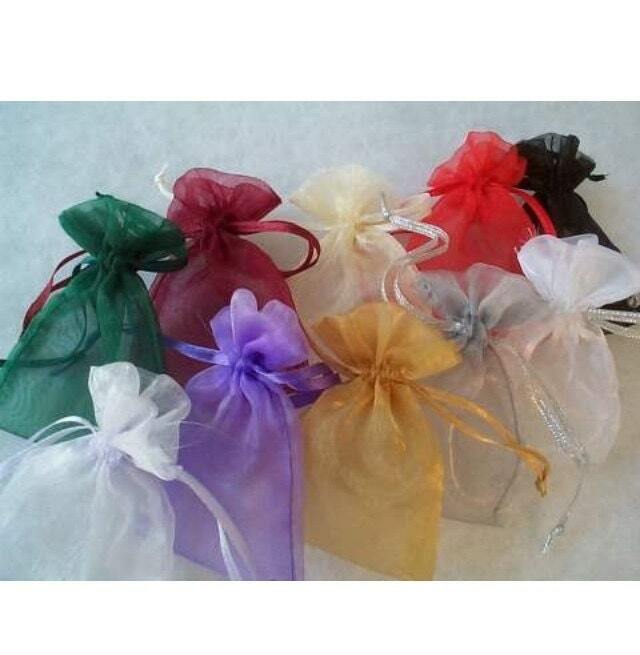 The bracelets will each ship in an individual silk bag, and do not include a gift box. If you'd like to add a gift box, simply purchase one of these for each bracelet: https://www.etsy.com/listing/119704902/add-a-gift-wrapped-box?ref=shop_home_active_7 (For example, if you pick quantity of 4, you'll need to order 4 boxes). If you have any questions at all about this bracelet, do not hesitate to send me a message at any time. I try my best to respond quickly to all messages.